The new version of Voice4u Android is available for download. 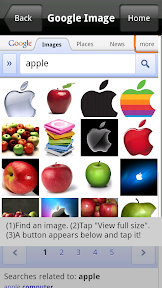 This time, we added a new Google Image feature, which are recently added to the iOS version. This one is big and should make easier to use the app. When you create new icons (or categories), you have a new option for image source. You can grab images directly from Google Image Search. Just search for images that you need on Google Image and just grab them. You can do everything on your device and without switching applications.